In mid-December members of the Hot!MeSS team took to the motorway and made their way to Liverpool to take part in the Radio City Live gifting lounge – an idea put forward and curated by Avant PR, who liaised with organisers Joy Montgomery on Hot!MeSS’ behalf. 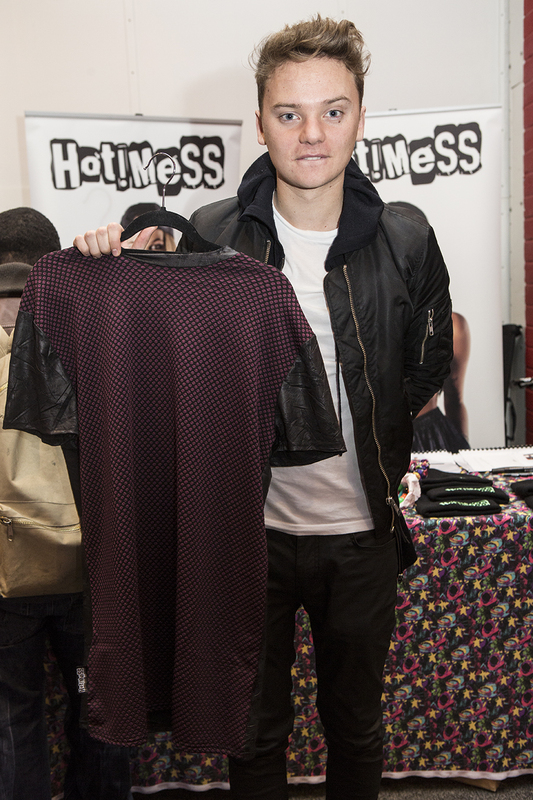 The Hot!MeSS team set up a stand and were visited by stars including Pixie Lott, Little Mix and Conor Maynard, all of whom snapped up a few products each, with Pixie Lott wearing her customised monochrome dress on stage the very next day and Little Mix’s Jesy rocking her leather look vest for a television appearance just three days later. With Neon Jungle’s Jess, Hollyoaks’ Jazmine Franks, X Factor’s Miss Dynamix and Made in Chelsea’s Phoebe Lettice Thompson also regularly rocking the brand, it’s safe to say that the celebs are Hot!MeSS fans!